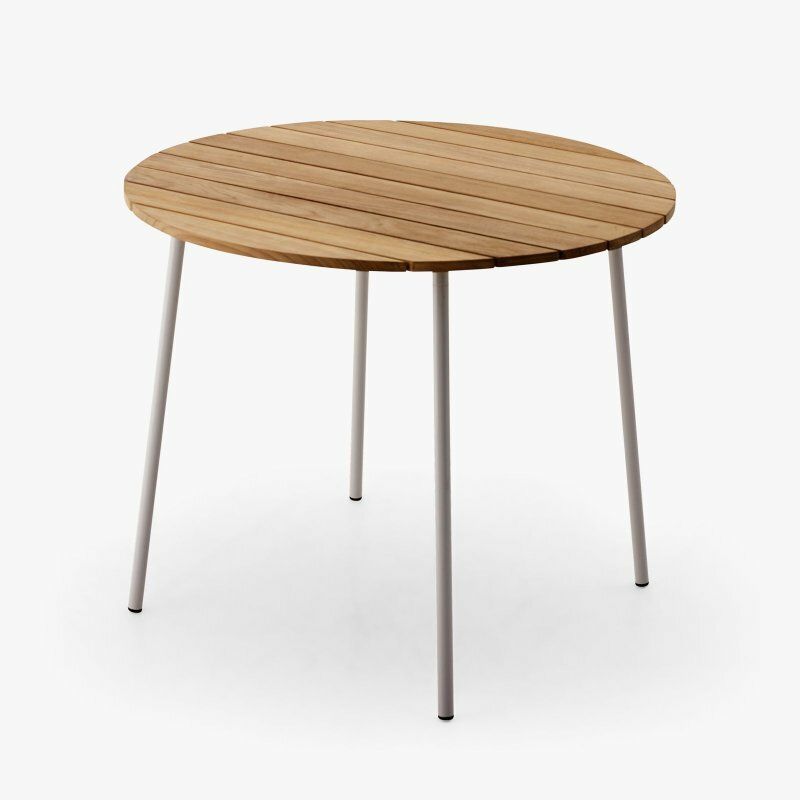 Roll Table is a metal and wood cafe table with natural and simple beauty, designed by Tom Dixon. 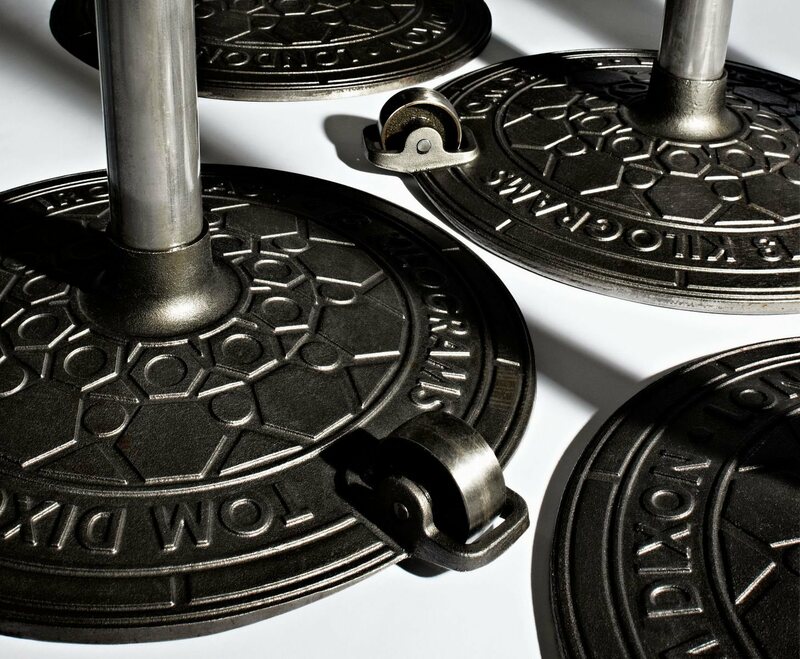 Roll is an example of indestructible mechanical practicality. 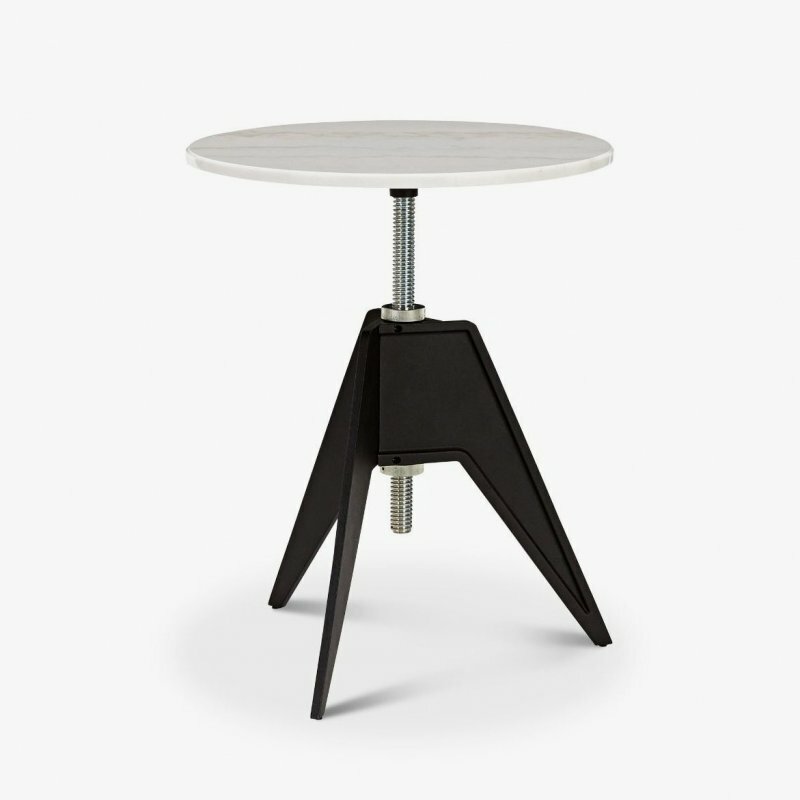 A series of hard working tables specifically constructed to ease the workers&apos; burden. 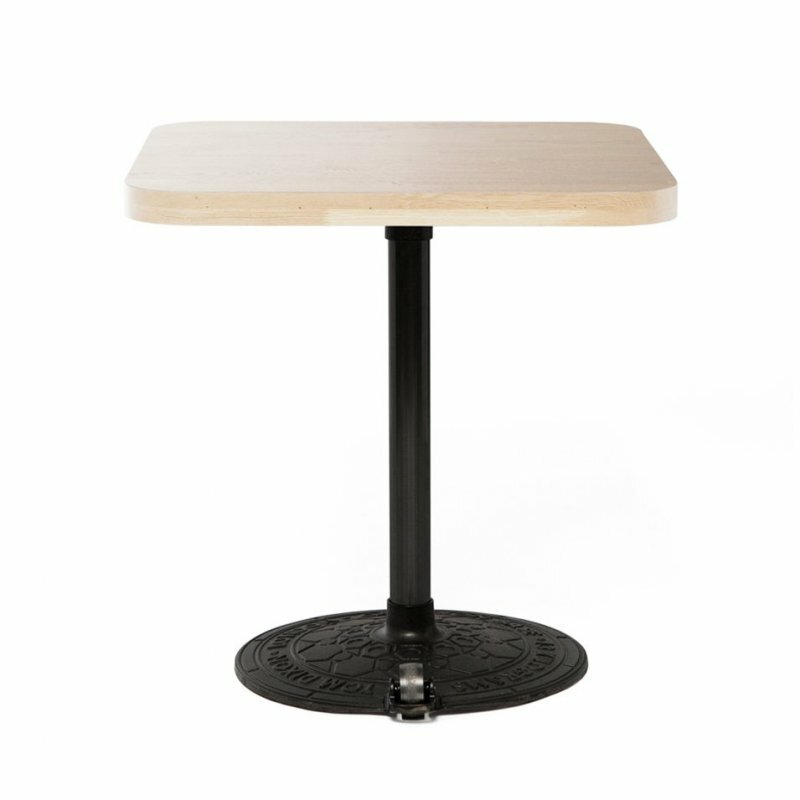 The rolling wheel on the cast iron base enables lone waiting staff to reconfigure tables with minimal fuss and assistance. 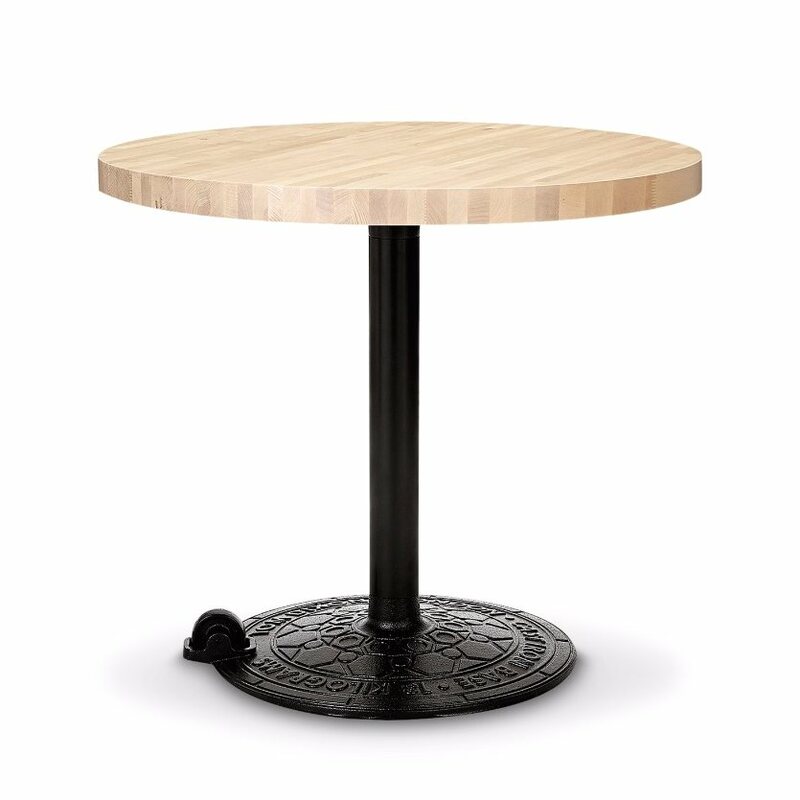 Fitted with a round blanched birch table top.